Two years ago, no one expected David Bowie to release The Next Day, his first record in ten years and first album of wholly original material since 1999's 'Hours...'. After collapsing onstage in 2004, his relative inactivity over the past decade was rumoured to be attributed to his poor health, but when lead single "Where Are We Now" arrived, those rumours were quashed with a most welcome surprise. 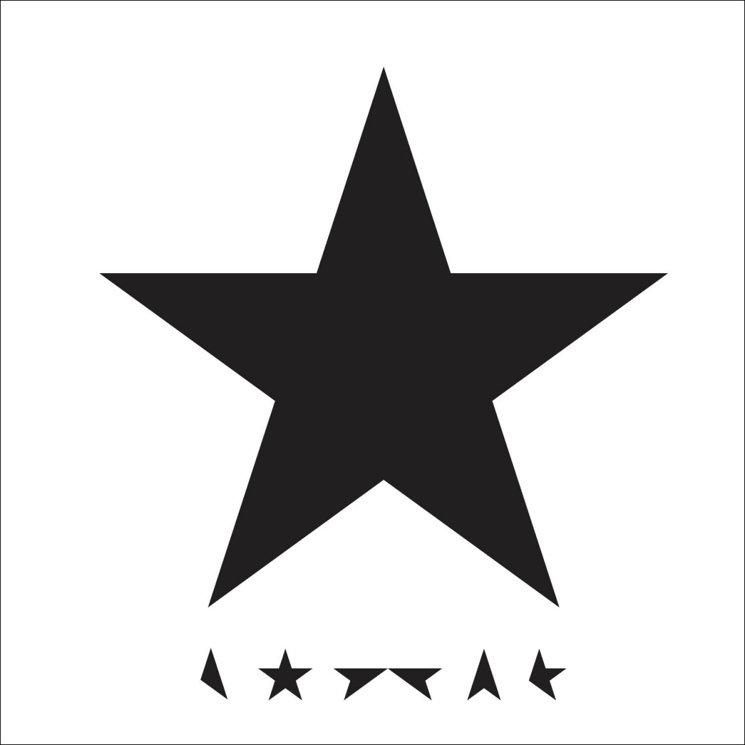 The Next Day's "live" production style and standard rock instrumentation complemented the idea that the record was somehow off the cuff, but like everything else Bowie has ever done, the project had been carefully calculated and crafted right down to Jonathan Barnbrook's cheeky cover art, which crudely wheat-pasted over Bowie's legacy, partially plastering over the past in favour of the present. At the time, Stephen Carlick described it as evincing "the impossibility of obscuring and fully transcending a musical past so decorated with beloved and acclaimed albums," but it could also be argued that the art is (literally) defacing the past rather than honouring it. For an album that begins with a song that declares "here I am, not quite dying" it was clear from the outset that Bowie wanted our ears to meet him in the present. Bowie's whole career has been a series of sharp turns and restarts: consider the sudden shift in quality between Hunky Dory and the three albums that preceded it; the death of Ziggy Stardust; how he abandoned rock altogether in favour of Philadelphia soul on Young Americans; the disco-infused and Nile Rodgers-assisted Let's Dance; the hard-lined grunge of his Tin Machine years. These shifts are all signs of an artist thriving creatively, but they're also attempts to keep listeners ears' fixed to the present in the face of an ever-growing legacy. But as Carlick mentioned, for all its pointing toward the future, The Next Day was still very heavily steeped in the past; the surprise of the new album outweighed the actual surprise of the material itself. Still, Bowie kept asserting that his audience should focus on the now. A year later, the Bowie camp issued a best-of compilation entitled Nothing Has Changed, a three-CD set that was sequenced in reverse-chronological order, highlighting his most recent material, reminding listeners once again that he is indeed still with us, creatively as much as physically. Nothing Has Changed was also the debut for "Sue (Or In a Season of Crime)" our first taste of Blackstar, and Bowie's new direction (though the song would be reworked and trimmed for the album). "Sue" features blaring horns that dart back and forth over a skittering drumbeat, wailing sax and Bowie himself in fine form. It sounds "jazzy," but it's a jazz song only in the way that an album like Talk Talk's Laughing Stock approaches jazz — with any real jazz qualities being embellished by the very loose structure of the song writing. The song's impact was downplayed by its place on a compilation, but here was the actual left turn that The Next Day announced, bold new material that reaffirmed the artist's reputation for being creatively unpredictable and vital. The rest of Blackstar does not disappoint. Backed by the Donny McCaslin quartet, it's evident immediately that the band was chosen more for their flexibility rather than their ability to recite Duke Ellington cuts. The lead and title track pulses along with a brooding bass line, drums cantering in fits and starts and a muted e-bow-driven melody until it all mutates into an undeniable funk. "Girl Loves Me" is an oddball highlight, stripped of any rock or jazz signifiers whatsoever, and finds Bowie using a mix of dialects, including Nadsat from A Clockwork Orange, and Polari, which was once popular in London's Soho.